New rumors are coming, in this case the launch of the iPhone 'Math' with 4.8-inch screen in June. According to the Times of China translated by BrightWire, Apple is planning to launch the iPhone 5S beside a big phone, considered the iPhone 'Math' in the report. Because the name iPhone Math is very unusual and does not fit the traditional naming scheme with Apple, it is unclear whether this is a code name or a mistranslation. China Times says the biggest phone will come equipped with a 4.8 inch screen and an 8 megapixel camera. He says that will be launched in June with an iPhone 5 update, which will also feature an 8 megapixel camera. 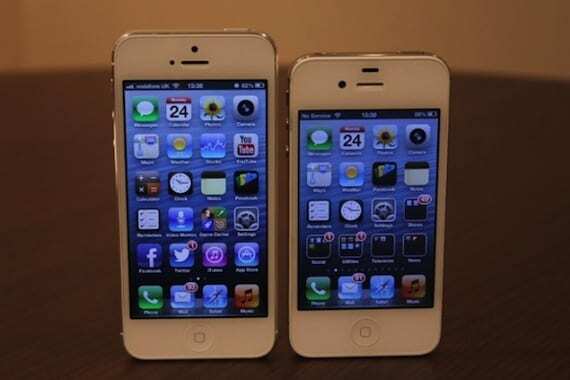 An additional iPhone update is said to be released during the holiday season, with a 12 megapixel camera. Although the report contains detailed information about suppliers, manufacturers, and production times, is hard to believe that Apple will produce a larger iPhone and that the company will release two iPhones in a time frame of six months. Shipments of components, including touch screens and cameras, start to increase significantly in March and iPhone makers began production in late April. Therefore, Apple's suppliers have significant growth in the second quarter of 2013. Hon Hai Precision Industry Co. Ltd. held 90% of the production orders and orders received Largan 8 million camera lenses. Fujikura, Ding Zhen share Flexium and production orders printed circuit boards. Foxconn Technology and moldings provide Coxon for new models of Apple, Foxlink will continue to offer free, Hon Hai Precision Technology Microelectronics begin designing solutions for Apple 4G networks. Digitimes also reported in early January that Apple was working on an iPhone bigger, more affordable than heading to emerging markets, and the analyst Brian White suggested that Apple might be considering launching its next iPhone in several sizes. While rumors of The Wall Street Journal and Bloomberg support the introduction of an additional iPhone at a lower cost , the device is said to be smaller, not larger. Apple just increased the size of the iPhone with the iPhone 5, and may be reluctant to face the same resolution and pixel density are obstacles that try to create an even bigger iPhone besides the iOS application developers who would see that again would have to modify their applications to the output of a new screen. Do you believe this rumor of a new model of iPhone even bigger? Article Rumors iPhone launch 'Math' with 4.8-inch screen has been originally published in News iPhone .